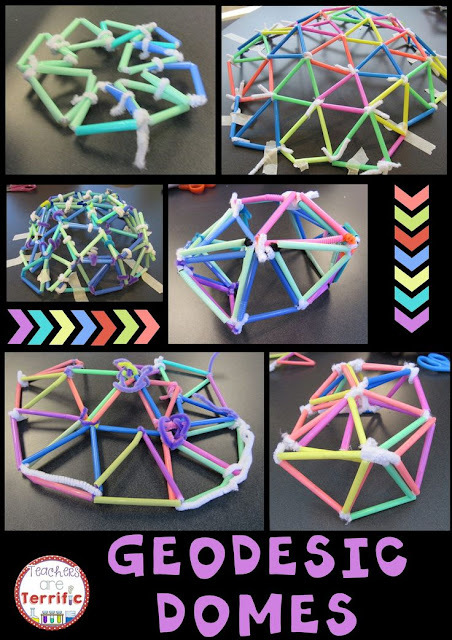 It's all about these Geodesic Domes! Okay, let's start with some background. 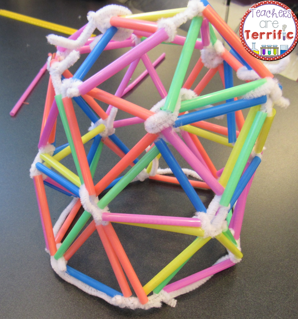 We saw a geodesic dome while on vacation in Texas and this inspired the challenge. Here's a typical geodesic dome. This one seemed a lot more doable for fifth graders. I mean, after all, it's a just a bunch of connected triangles, right? 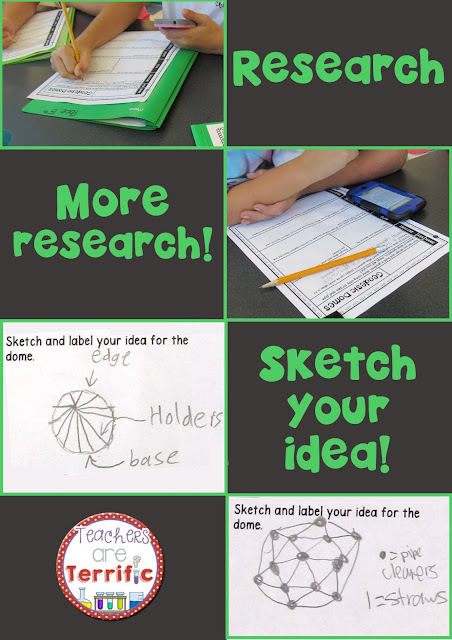 So, I had my fifth graders bring their personal devices to class one day and they spent some time reading about geodesic domes and sketching ideas. Y'all, look at that last drawing. 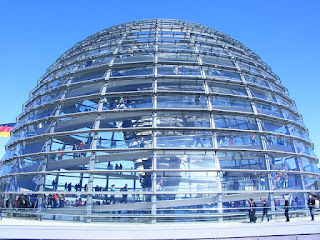 Okay, now the teams talked and had to make a monumental decision about the geodesic structure. 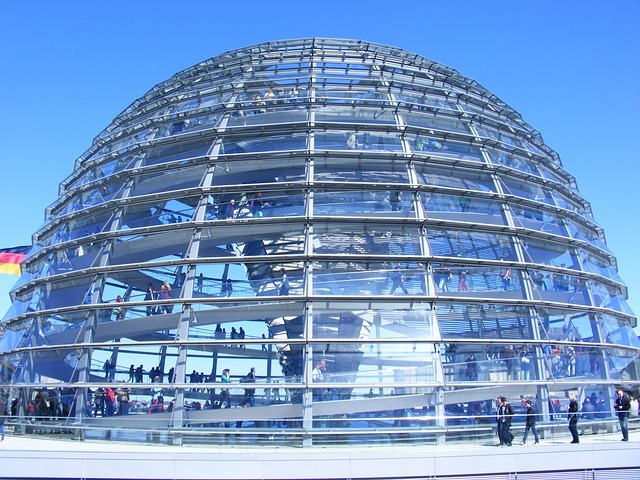 Would it be a dome or a sphere? I am not going to lie to you about this. This was a major decision. We wanted spheres because they were really the coolest things ever. It is hard to make a sphere. 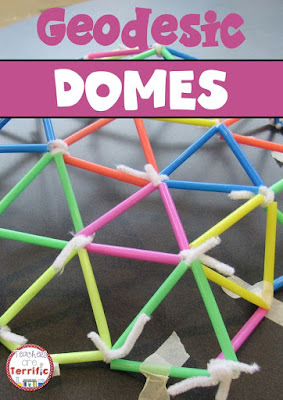 So, some of us changed our plans and made fabulous dome shapes. It was purely fun and so mathematical, dare I say! Connecting triangles made little hexagons. 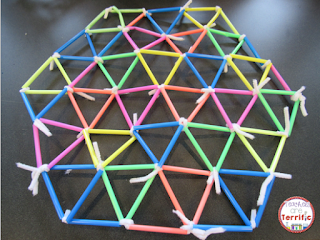 Then a bunch of hexagons made a really large hexagon. I had a fifth grader say this, "We should have already known this stuff about the triangles and hexagons cause of pattern blocks!" 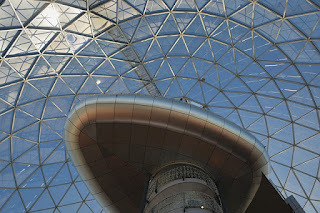 Anyway, we ended up with some dome shapes and a few almost spherical shapes and it was EASY-PEASY. The best kind of STEM Challenge! What's Going on in the Lab? Bungee Jumps! What's Going on in the Lab? Catapults! What's Going on in the Lab? Effervescing Tablets!